hmm how could I fix this error? 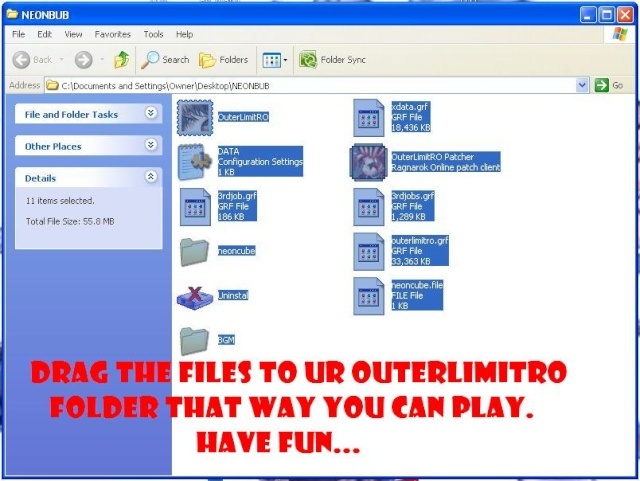 try to turn off your mc affee anti virus or turn it on not off on your mc afee firewall the outerlimitro autopatcher. 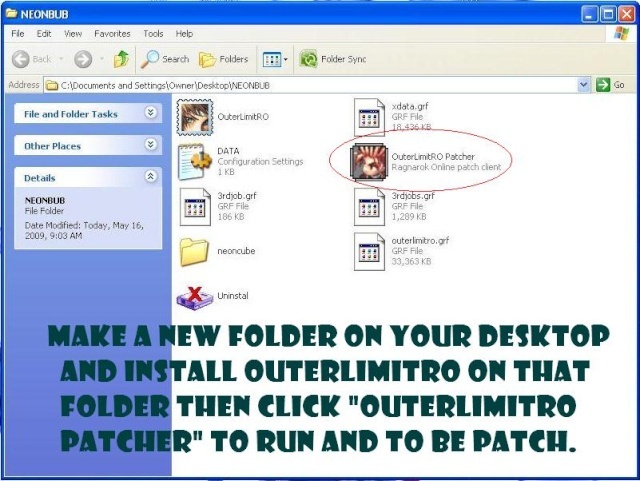 or simple follow this easy step to full patch outerlimitro. still cant... did the 2 procedure... please put the download link of the patch 14 to the last patch number? PLEASE? i think the problem is that you have put your RO files on a FLASH DRIVE? and trying to update it? the patch14 is a small patch (500kb), i have to remake everything just to get your outerlimitro update. your windows aren't updated. try to patch your windows XP, it just need some codec. If you do have a faster internet, update your windows XP to the latest there is. click Start > All Programs > click > Windows Update. that way it will get the service pack 2 and service pack 3.
try the one i posted here. 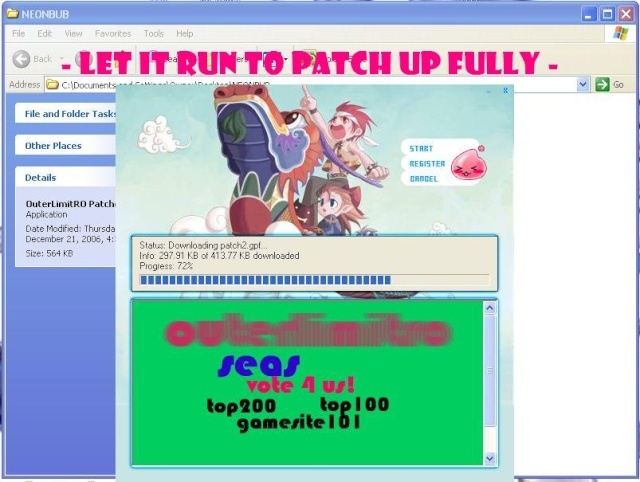 ANOTHER SOLUTION ON HOW TO INSTALL THE PATCHES WITHOUT SINGLE ERROR... JUST FOLLOW WHAT THE PICTURE SAYS.